DISH NETWORK RECEIVER. ITEM IS USED UNTESTED AS DESCRIBED. Has been sitting in the top of a closet since I discontinued service. Ready for you to hook up the cables and go. When used (long time) was used only couple of months. It was purchased new from online. Dish Network VIP 625 Dual Receiver/DVR. Condition is Used. Shipped with USPS Priority Mail. Includes a used Dish DVR model 625 which is in used condition, and has ONLY been plugged in to ensure that it will power on. 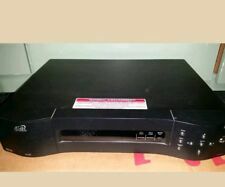 Dish Network VIP 625 Dual Receiver/DVR. With card working. No remote Condition is Used. Shipped with USPS Priority Mail. R00 82065374. DUAL TUNER RECORDER. DISH NETWORK. BEFORE LEAVING FEED BACK. "RECEIVER ONLY". RECIEVER WAS TESTED TO POWER ON ONLY. Not fully tested. Plugs in lights turn on. May be a out of date box. DISH Network 625 DishDVR. Condition is For parts or not working. Shipped with USPS Priority Mail. Listed as “non working” because I cannot guarantee this receiver will work for you or not. This receiver powers on but that is all I know about it. I cannot guarantee that it will work for you or be activated by Dish Network. It is being sold “as is” and no returns will be accepted. You will get the receiver, and card only. See photos for further details! Please ask any questions before bidding!! Thanks for looking!!! 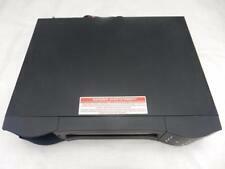 2 Dish Network Receiver 625 DISHDVR625. 1 Dish Network Receiver 522 DISHDVR522. 3 units form State sales, All power on, and no sure they are works or not. sale for parts or not works. no further tested. Unit powers on and is otherwise untested. NO REMOTE. NO REMOTE, MANUAL, CABLES, ACCESSORIES OR ORIGINAL BOX. SOLD FOR PARTS OR REPAIR ONLY . This item powers on, see picture for details. All pictures of the actual item you will receive.